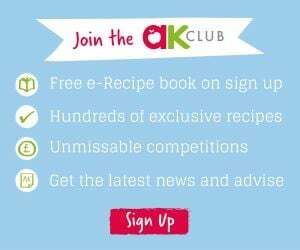 Home » Competitions » Ultimate AK Weaning Giveaway!! Annabel’s Complete Baby and Toddler Meal Planner! Cybex Lemo Concept is a 4-in-1 seating solution for life designed to match your lifestyle. Depending on your child’s age, use the matching attachments and make your little one feel comfortable. Having guests and have a chair short? No problem! Thanks to the intuitive and smooth one-hand adjustment system, you can easily switch the height and depth of your LEMO Chair from baby to adult within seconds. A perfect solution from birth up to approx. 99 years. Annabel has put 25 years of recipe expertise into cooking-up her award-winning, quick and delicious range of children’s favourites. A months’ supply of Chilled Meals plus a signed copy of her bestselling Complete Baby & Toddler Meal Planner, this is a competition not to be missed!